Orthodontics is one of the oldest areas of dentistry, aesthetics of aesthetic dentistry. during which we refer to the diagnosis, cure or prevention of the position and form disorders of the teeth. Most people decide on orthodontics for aesthetic reasons, but it is undoubtedly a fact that the procedure greatly contributes to the preservation of our health. Why should orthodontic treatment be required? There are several factors, such as improving the harmony between the face and the teeth, making the teeth and gum healthier or improving the chewing function. There are several reasons for the development of irregular teeth, but in most cases, some bad habits (fingerprints, gums, tongue-pounding of teeth) make it out. But they can also cause anatomical changes or may be influenced by genetic factors that require the orthodontic process. An orthodontist is most needed when the patient's teeth are irregular or want to spare themselves from future health problems. The orthodontics primarily focuses on healing abnormalities in the teeth. 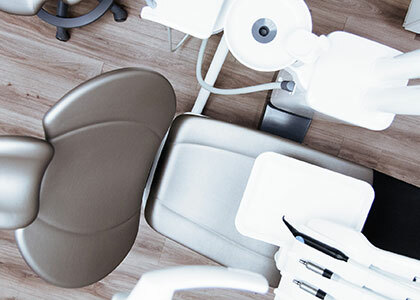 During the course of the treatment, obstetrics, slit dentition, forward or backward tilting of the teeth, position and form disorders, open and deep bites, and abnormal bite conditions are the goal. 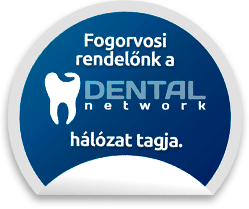 There is no doubt that the regulation of your own teeth is more gentler and cost-effective thanks to modern procedures, such as prosthetics or the treatment of obstetrics due to obstetrics, and in many cases it is possible to prevent the treatment of periodontal ulcers caused by abnormal forces. With orthodontics, regardless of age, it is possible to preserve your own toothpastes or treatment for 18 to 24 months, providing a definitive solution to the problem of irregular teeth by placing the teeth in the wrong position into the correct position. It is important to know that denture disorders are causally related to other dental illnesses. Toothed teeth become easier to cough, because it is harder to clean them, and in the case of filling, it is relatively easy to re-carve through the edges of fillings. Abnormal teeth may be affected by abnormal forces (not parallel to the axis of the tooth), so irregularly positioned teeth may be more prone to the development of periodontal disease. Orthodontics is ideal for the growing child when the jaw growth is still in progress. Under 7 years, treatment is rarely recommended because there are no permanent teeth, and milk teeth are mostly prepared for permanent teeth. For example, if you are 2 years old, you need to start orthodontic treatment if you have an open bite position. Between 6 and 12 years, that is, when the milk and the remaining teeth are mixed together in the oral cavity of the children, it may become necessary to treat the crossbreeding deviations. Or almost all kinds of anomalies can be handled well at this age. Above 12, i.e. in the case of remaining teeth, the most commonly fixed devices, and in some cases surgical interventions can be used to treat the more severe dentinal disorders. There is virtually no upper age limit in the orthodontist since bone rebuilding is retained throughout life so that incorrect teeth can be placed in a regular position for all ages, although longer treatment time than in younger age. In many cases, orthodontic use with other options provided by aesthetic dentistry will make the right, demanding result, since prostheses or porcelain veneers may often require orthodontic preparation. Adult orthodontics usually uses fixed orthodontic devices. Fixed orthodontic devices traditionally contain metal elements, but aesthetic porcelain orthodontics can also be ordered. In children, orthodontic physicians have extensive orthodontic techniques and instruments available, and in many cases they can use the orthodontic and aesthetic dentistry to achieve the most aesthetic result. Orthodontic treatment may be a fixed or detachable device that is to be worn for a period of time determined by a doctor, but often it may be necessary to remove certain teeth and, occasionally, to relieve jabs. 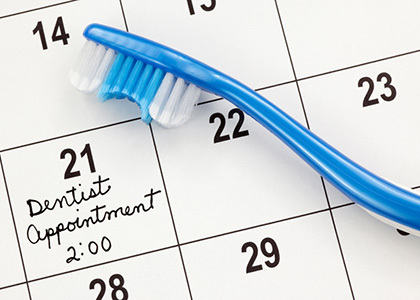 How long does it take to wear the orthodontic device? The duration of treatment depends on the type of disorder and the age at which treatment begins, so the timely recognition of oral disorders is of particular importance. Since orthodontic treatment should be completed completely by the teeth that secure the teeth, treatments usually last for a long time, often for several years, usually for 18 to 24 months. - If the disorder is diagnosed in childhood and begins to be treated, shorter time is required. - Particular factors also play a role, as poorly developed children tend to be less responsive to treatment than healthy ones. - Removable orthodontic equipment usually requires more time (2-5 years), while in the case of a fixed device this time is less (12 to 24 months). If the orthodontist has begun in childhood when the remaining teeth are still in the bone, the goal of orthodontics is to align the bone in the proper direction, so this type of orthodontics may last long as the remaining teeth are removed continuously. If the orthodontist has begun in an adult age, then there is no way to control the development of the bone, so in this case it is possible to move the bone in the bone. On average, a period of 1-1.5 years can be expected, but of course depending on the treated disorder there are big differences. The first step is to diagnose the X-ray, since the most appropriate orthodontic choices can be made if you get an accurate picture of the current state of your teeth. For this, it is necessary to create a telerigest and a panoramic X-ray image, which is specially designed for accurate orthodontic planning. As a second step, impression and photographic documentation are performed, and orthodontics requires accurate planning. It is necessary to take a quick and painless impression and take photos for medical purposes that help the dentist prepare a personalized treatment plan. After the specialist has prepared the personalized treatment plan, the third step is to select the orthodontic method and device that adjusts to our financial resources, aesthetic expectations and timing. A fourth step is to make the orthodontic specialist in a dental laboratory prepare a personalized orthodontic device and then insert it and begin actual orthodontics. Proper and comprehensive orthodontic diagnosis is essential for successful treatment. The orthodontist specialist decides on the appropriate orthodontic treatment plan before the treatment begins with a patient's examination or a sample of teeth taken from the teeth. 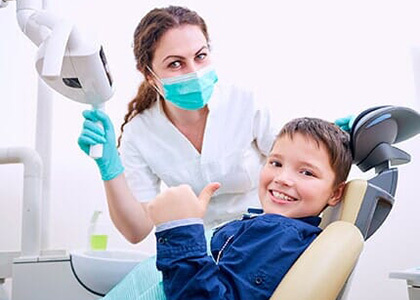 The tool of diagnosis is the so-called telerox-evaluation, which can be used not only to detect abnormalities, but also to predict the progress of orthodontic treatment. Remote X-ray is a lateral skull taken specifically for orthodontic purposes. In addition, there is a need for panoramic X-ray images as well, since the condition of each tooth is only a good image. If one seems to be problematic on the recording, further X-rays may be needed for more detailed and more accurate orientation. These are called intraoral X-rays, which give a detailed picture of one or two teeth. The removable device can be removed from the mouth and teeth at any time during treatment. Since patients do not wear it permanently, they are not as aesthetically disturbing as fixed devices. It is usually necessary to wear at night or mostly in the afternoon, ideally for at least 12 to 14 hours, but because they are not constantly in the mouth, the treatment time is longer. They can be used on the upper and lower thighs, but they are not suitable for the treatment of all kinds of tooth defects. Removable devices are recommended for girls between 10 and 14 boys up to the age of 12 to 15, and most of the time the recorded device can be heard. Fixed devices are the oldest used orthodontic devices. The support elements are fixed on the teeth by sticking to the patient so that the patient is treated day by day, so treatment will take less time. Fixed devices also allow you to do notch that can not be done with removable devices. However, their disadvantage is that there is a risk of dental caries because the device itself and the teeth are more difficult to keep clean. Of course, in the case of increased oral hygiene this problem can be eliminated. For functional devices, the muscle force activated by the device gives the force needed to move the tooth. Its task is therefore to enhance and alter the muscle function, thus affecting the growth of jaws and teeth in the right direction. Nowadays, with modern technology, orthodontics has given far more opportunities than a few decades ago, so we can make adults an aesthetic smile for our everyday lives. Such an option is, for example, a translucent plastic, i.e. invisible, removable orthodontic, which is suitable for small crowding in adults. The device is made up of translucent plastic rails, so it is not firmly attached to the teeth and free to clean the teeth, but unfortunately, it is not suitable for major corrections. The other option is the invisible, fixed, fixed orthodontic device, which is suitable for correcting minor, more severe irregularities. Because the device is attached to the inside of the guitar, it is located inside it, it is invisible to others. There are orthodontic devices that are made of porcelain or metal and porcelain alloys and where the sheets receive a teflon coating that has the same color as the tooth color, so it is almost invisible. But there are also sapphire-made devices that are completely transparent. Only orthodontic surgery can be performed with complete success if the patient acts as a partner and observes all the advice and intimacy your doctor has given you. Proper oral hygiene is very important during orthodontics because, in the absence of this, a severe gingivitis can develop, which is not just a painful and problematic treatment, but it can also ruin the result, but an orthodontic device may be a source of plaque formation. To avoid this, you need to clean the tooth and orthodontic system regularly, thoroughly, conscientiously during the orthodontic session, just as the specialist shows it. Use special toothbrush, dental floss, toothbrush toothbrush to help maintain proper oral hygiene. If you have a removable orthodontic device, you can clean it with toothbrush, toothpaste and special tablets.